Jose G. Ramirez-Arone Jr., who formerly worked as a broker for UBS Financial Services of Puerto Rico (UBS-PR), has been sentenced to a year and a day in prison for defrauding investors. Ramirez-Arone, also called Jose Ramirez and known by many on the island of Puerto Rico as “The Whopper,” pleaded guilty to bank fraud last year. Ramirez admitted that he made more than $1.2 million in improper commissions by persuading clients to inappropriately invest in UBS Puerto Rico Bond Funds. More specifically, Ramirez admitted to participating in a scheme where he advised his clients to borrow money against their investments from a credit line at UBS Bank and then to use that borrowed money to buy more UBS Puerto Rico Bond Funds. This use of “non-purpose” loans to buy securities was strictly prohibited. Unfortunately, in addition to being a prohibited transaction, this type of investing – where leverage is used to buy an already leveraged investment product – is unsuitable for most investors. The vast majority, if not all, of these investors were ill-equipped and unable to handle the risks involved, which they are now claiming were misrepresented or not fully disclosed to them. When Puerto Rico bonds and closed-end bond funds plunged in value in 2013, many UBS clients ended up having to sell their investments because they lacked the assets to satisfy maintenance calls on their accounts, resulting in massive losses for some. UBS, which conducted an internal probe into Ramirez and his activities, fired him in 2014. Ramirez currently has more than 80 disclosures listed on his BrokerCheck record, almost all of which are customer complaints related to Puerto Rico investments. However, Ramirez is not the only UBS broker accused of acting negligently and improperly by persuading investors to buy and hold the firm’s proprietary Puerto Rico closed-end bond funds (CEFs). 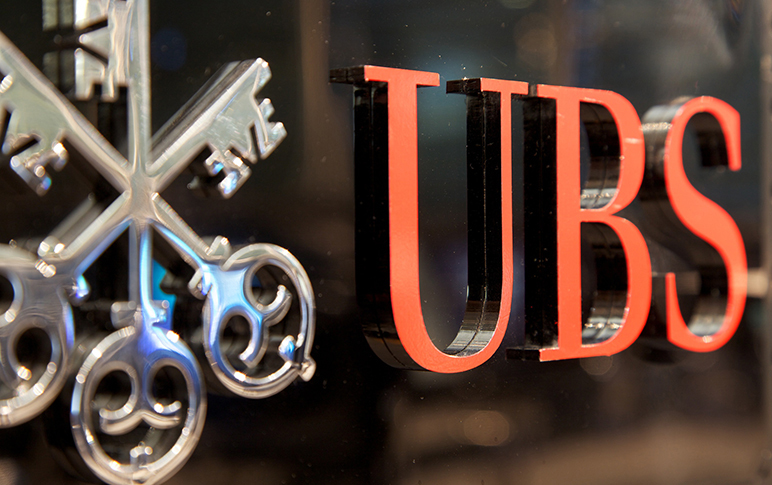 This is why UBS has reportedly already paid more than $480 million to settle UBS Puerto Rico bond fraud claims brought before the Financial Industry Regulatory Authority (FINRA) by investors. Hundreds more investor fraud claims making the same allegations are reportedly still pending against UBS Puerto Rico alone. The broker-dealer supposedly prohibits customers from using credit lines to buy securities, but Ramirez himself has alleged he was not the only UBS broker to do so and that the firm knew this was taking place. A 2011 audio recording of then UBS Puerto Rico Chairman Miguel Ferrer even has him pressuring staff to keep selling the bond funds to investors or “go home, get a new job.” The “pep talk” came after the firm’s brokers began to balk at pushing the securities onto clients because they were concerned that the investments were too high-risk. CNBC reports that by the following year, UBS investors in Puerto Rico had invested about $10 billion in the bond funds, which was approximately 10% of the US territory’s gross domestic product. UBS executive Doel Garcia, whose BrokerCheck record also shows over 80 disclosures, many of them customer claims. UBS has also already paid about $34 million to FINRA and the U.S. Securities and Exchange Commission (SEC) to settle related claims brought by the regulators. Meantime, according to regulatory filings by UBS, the U.S. Department of Justice is still investigating whether loan proceeds were used to invest in Puerto Rico bond funds. Our UBS Puerto Rico Bond Fraud lawyers have been hard at work for more than five years in working with investors on the island and the mainland to help them recover the losses sustained from Puerto Rico bonds and closed-end bond funds. Already, we at Shepherd Smith Edwards and Kantas, LLP (SSEK Law Firm) have helped investors to recover tens-of-millions of dollars over this matter, including an award of $1 million in punitive damages against UBS-PR for orchestrating this illegal scheme. Contact SSEK Law Firm today if you invested your money through Jose Ramirez, Doel Garcia, Leslie Highley, David Lugo, Luis Sanchez, Fernando Castillo, or any other current or former UBS Puerto Rico broker and you suspect your losses may be due to fraud. SSEK Law Firm also works with investors who purchased their Puerto Rico bonds through Santander Securities (SAN), Popular Securities, Morgan Stanley (MS), Barclays (BARC), The GMS Group and other brokerage firms, as well as investors who suffered losses in Puerto Rico investments by investing in a hedge fund or another type of investment.